The CHT file extension is associated with the My Health applications used to monitor and control body functions, such as blood pressure, weight, cholesterol, temperature etc. The .cht file contains chart created in My Health applications. 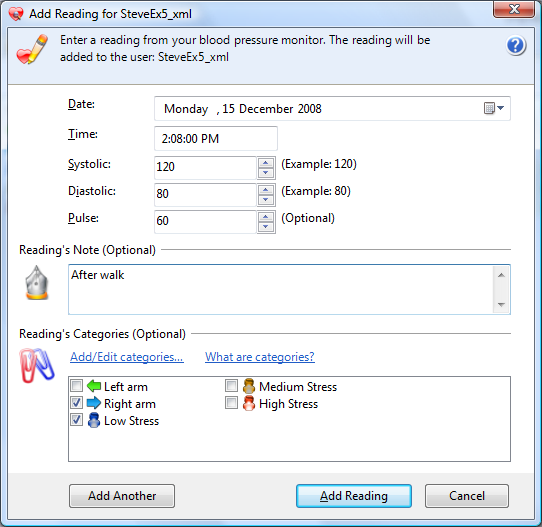 My Health Services Pty Ltd.
My Blood Pressure is software for Windows that records, charts and prints reports of your blood pressure readings. It can be used with any home blood pressure monitor device, and works on all modern Windows computers. Use My Health Software applications to open .cht My Health Software chart file. Programs supporting the exension cht on the main platforms Windows, Mac, Linux or mobile. Click on the link to get more information about My Blood Pressure for open cht file action. Programs supporting the exension cht on the main platforms Windows, Mac, Linux or mobile. Click on the link to get more information about My Blood Pressure for edit cht file action. Programs supporting the exension cht on the main platforms Windows, Mac, Linux or mobile. Click on the link to get more information about My Blood Pressure for create cht file action. Click on the software link for more information about My Blood Pressure. My Blood Pressure uses cht file type for its internal purposes and/or also by different way than common edit or open file actions (eg. to install/execute/support an application itself, to store application or user data, configure program etc. ).